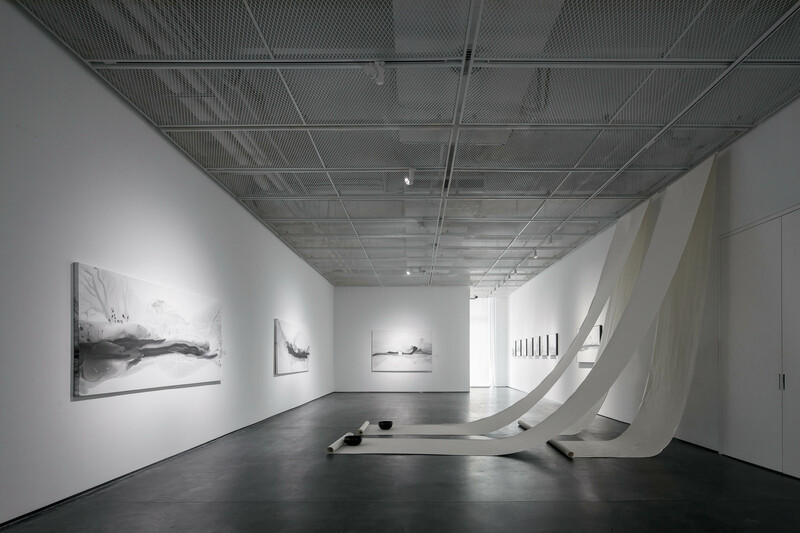 Zhi Art Museum is situated in Building 2 of Quanzhi Technology Innovation Park, Baoan District, Shenzhen. 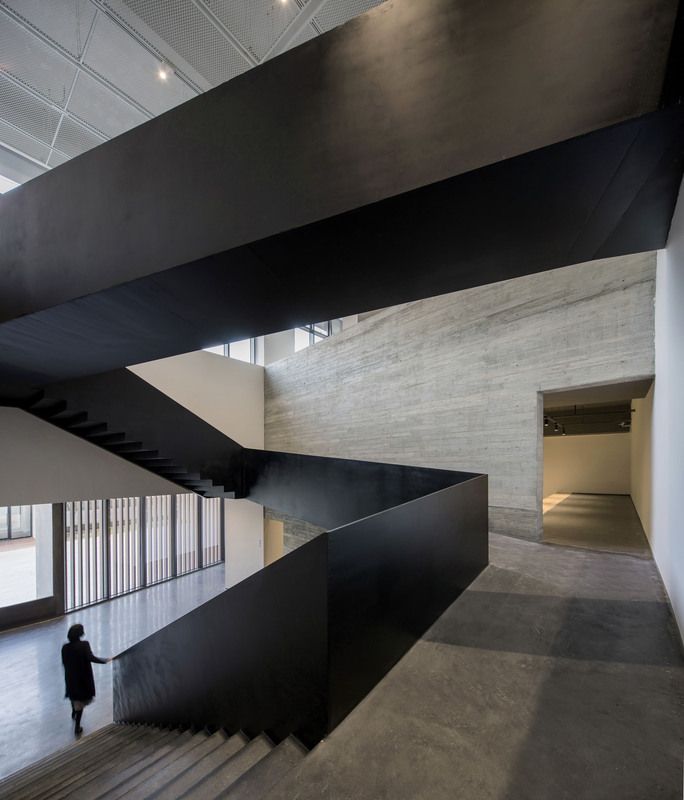 Interlinking different public spaces within the park, Zhi Art Museum connects people in the aspects of work and life and contributes to a working place with a cultural community. In addition to the function of exhibition hall, it also has a multi-function hall and workshops. 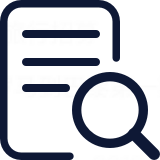 By means of exhibitions, trainings, lectures and forums, it brings tight connection between art culture and people’s life, acting as a communication platform for multi-arts and multi-cultures. 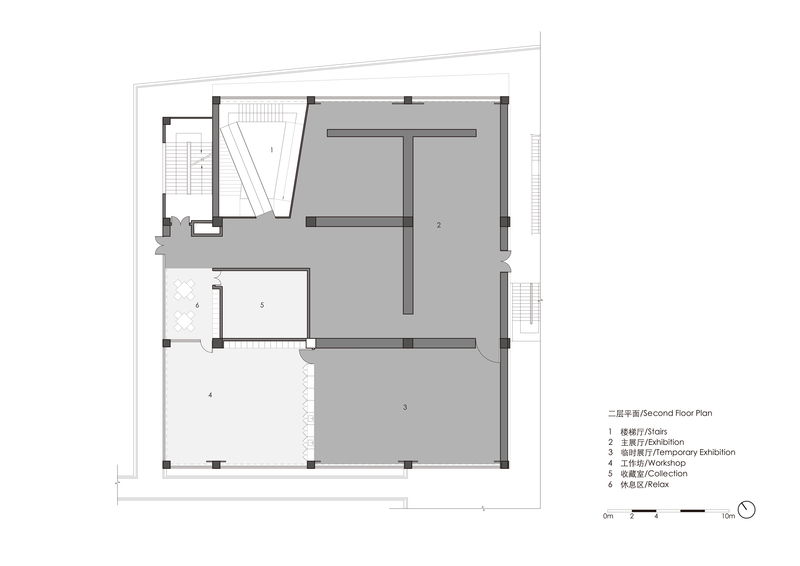 Different from most art galleries, Zhi Art Museum is not an independent building. 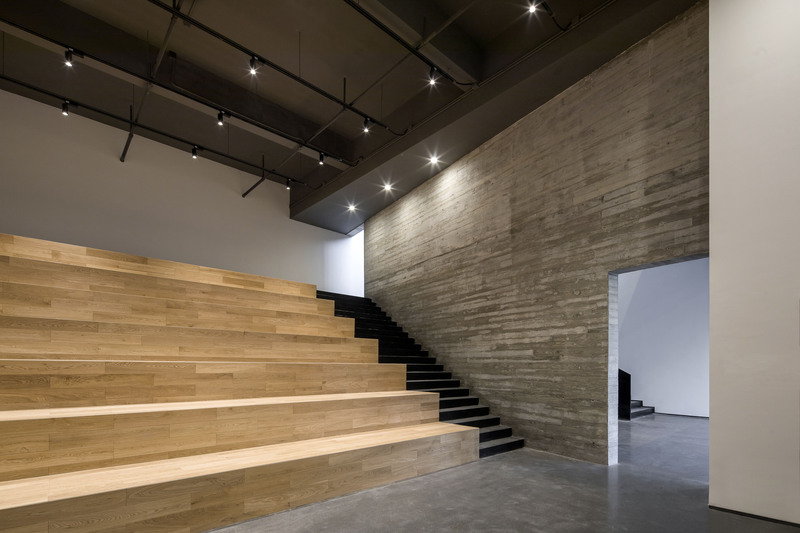 Instead, its two-floor space was transformed from a part of an originally concrete plant. 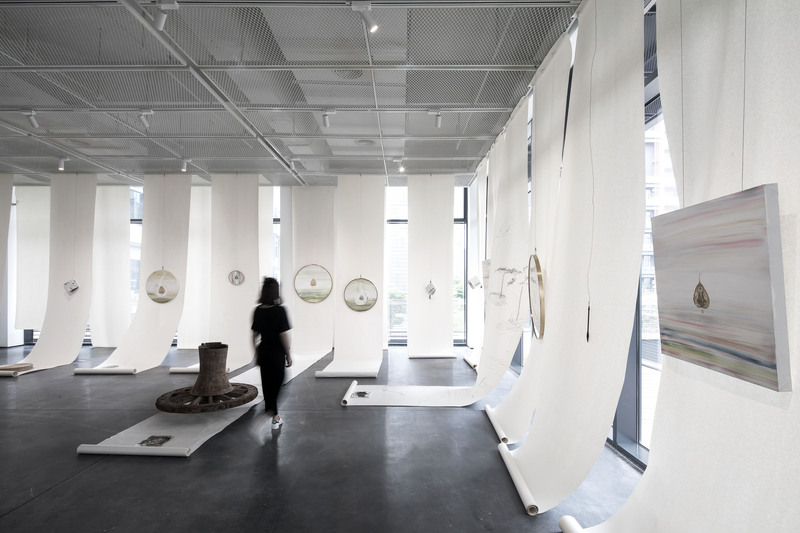 Through change of spatial rhythm, natural lighting and application of material textures in the more than 900 square meters plant space, Zhi Art Museum brings visitors a colorful and interesting exhibition experience. 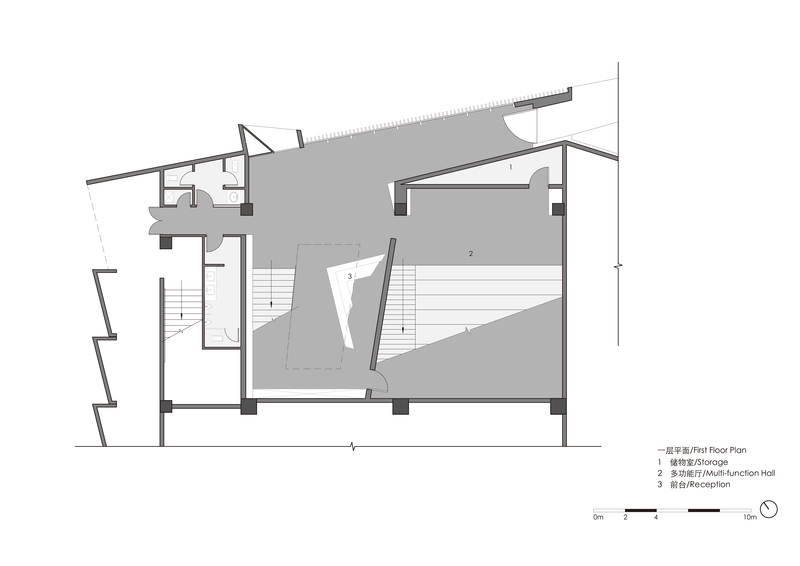 The museum is composed of two floors. The first floor has a hallway and a multi-functional hall, while the second floor functions as exhibition halls and workshops. Façade of the museum is decorated with fluorocarbon lacquer coated steel plate with natural uneven textures which echoes artistic style of the museum. Walking inside, as façade of the museum changes from the grille to a horn-shaped glass window, the narrow and long hallway will guide you from ordered space to viewing space. 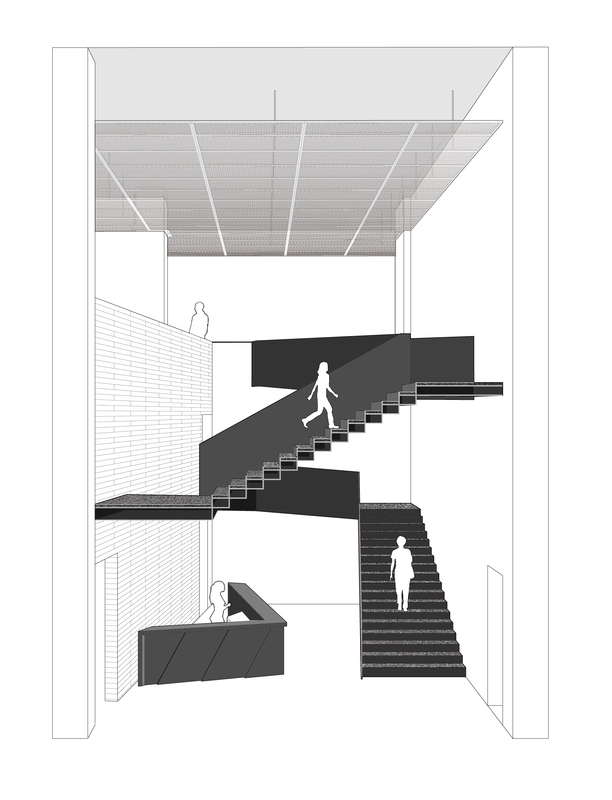 After passing through the hallway, visitors will go into an atrium with two-floor-height ceiling. The transition from a narrow and long space into a tall and high space suddenly brings visitors a broad vision. The stairs and slopes in the atrium connect the first floor and the second floor. 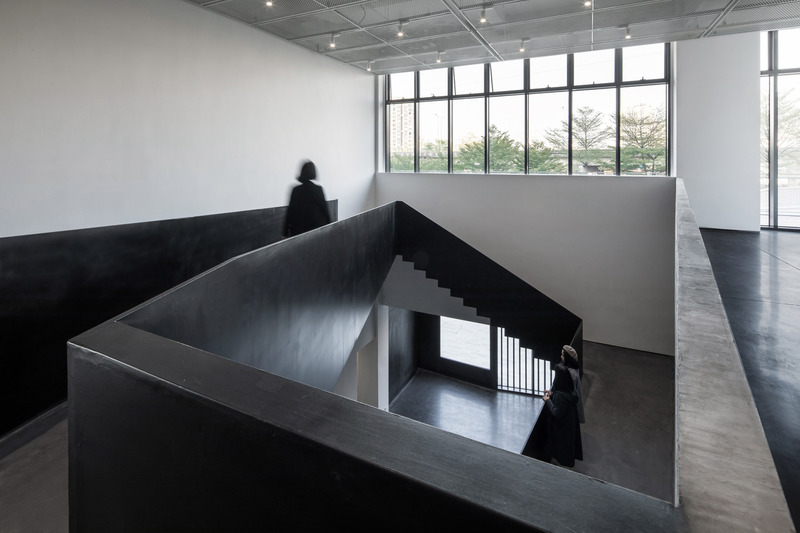 Walking on the stairs and slopes, visitors enjoy a journey of art while they sense aesthetics and interest of the architectural space before the exhibition. 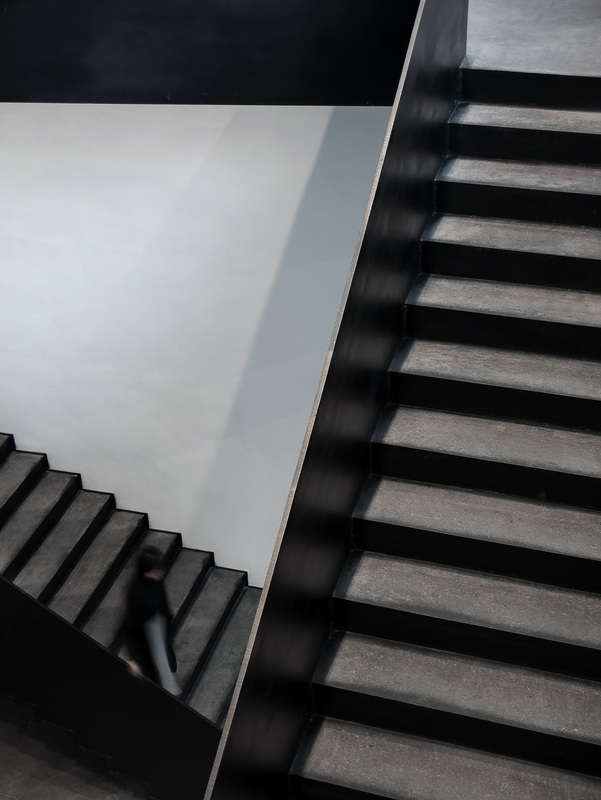 Alternation between stairways and slopes makes people feel different rhythms and paces during walking. 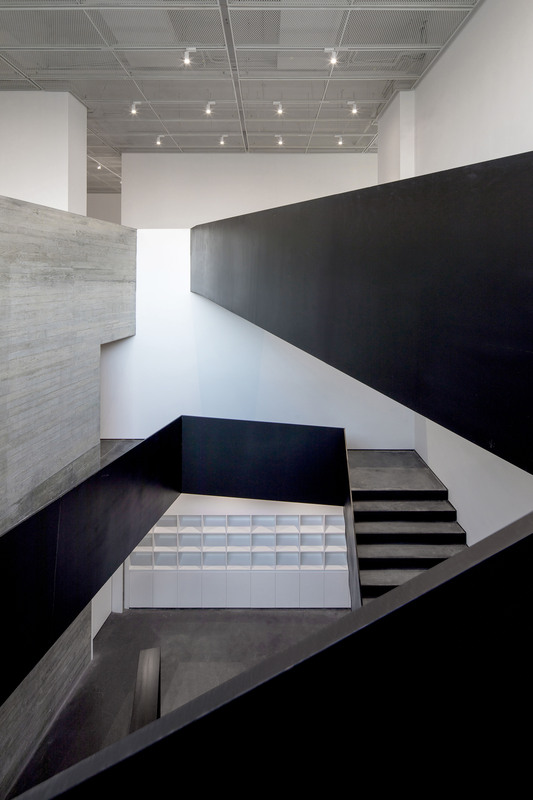 Black staircases, white walls and wood-grain concrete walls create a simple but elegant and pure artistic conception. 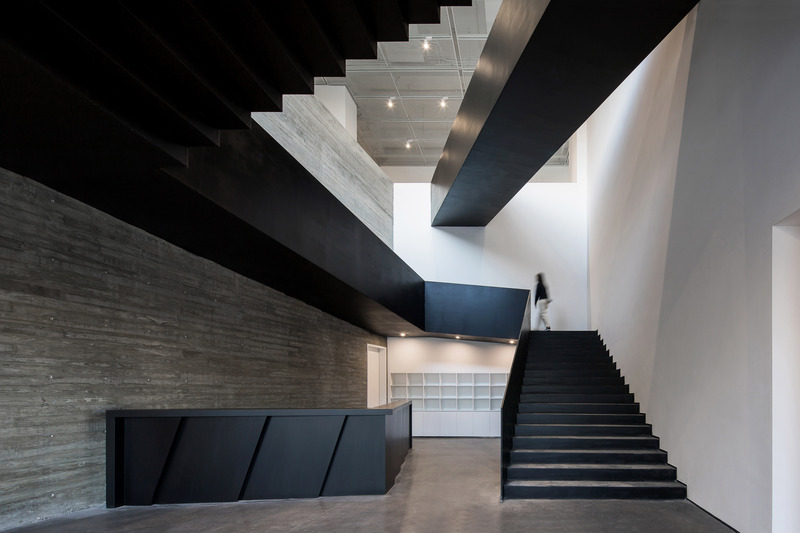 Different from conventional beam stairway, the stair steps and sideboards form a complete structural system of steel-plate stair with structural aesthetics. On the second floor of the atrium, a large area of French window lets more natural lights come into the high-ceiling space. Visitors find the space brighter and brighter when they walk upward in the atrium. Coming to the second floor and looking backward, visitors may also see the green terminalia mantaly outside of the window. With tortuous path, plentiful materials and changing light, walking in the atrium become an interesting tour; Meanwhile, people interact with each other by gazing, following, making fun from time to time, which is a way to develop the relationship between the audience. The exhibition hall on the second floor is divided into several halls of different sizes according to the location of the pillars and the functions of the halls. The halls are not all closed and opaque indoor spaces. Some exhibition halls adjacent to exterior have boldly preserved the glass curtain wall. On one hand, these exhibition halls can be met the requirement for dark rooms by using the window blinds. 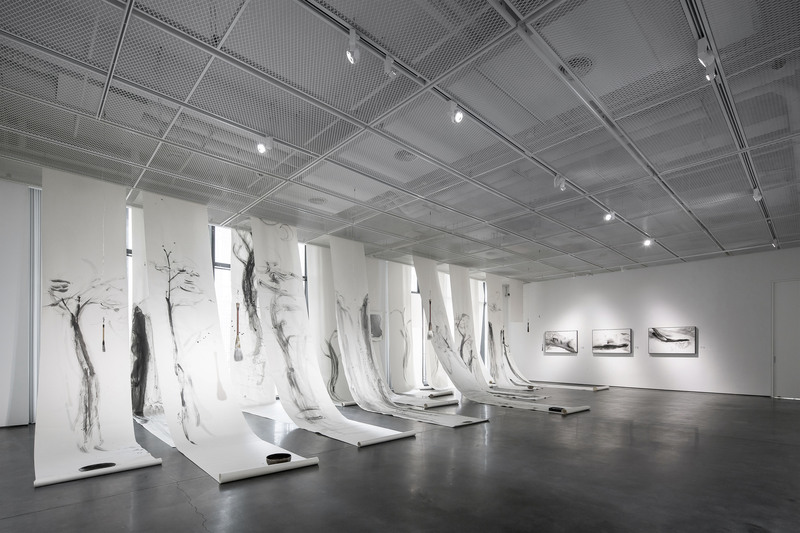 On the other hand, it not only brings outdoor natural scenery into the exhibition space, but also artists could take advantage of natural lights to arrange the exhibition, providing a different viewing experience for visitors.